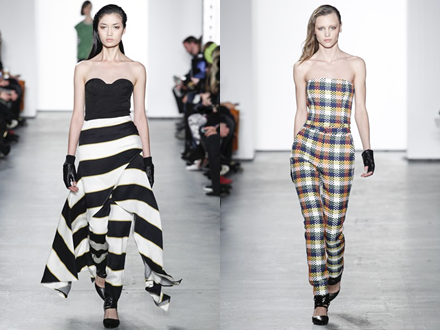 For Autumn/Winter 2014, Sass & Bide have gone crazy with checks and stripes to create a collection that meets halfway between urban grunge and cool elegance. Beautiful silk and sheer fabrics sit side-by-side, only complementing one another. Some pieces are oversized, while others fit like a glove. This collection is edgy, cool and contemporary.